We have evolved “as if” reproduction is the sole goal for which human beings were “designed,” and everything else is a means to that end. However, natural selection is a slow process, and Homo sapiens originated about 200,000 years ago, so our minds today are adapted to maximize gene replication in the Pleistocene. Meanwhile, an investor seeking to maximize wealth, Homo economicus, should behave according to expected utility theory. Aspects of the behavior of Homo sapiens that differ from Homo economicus include the endowment effect, loss aversion, risk aversion, overconfidence, optimism, the representativeness heuristic, the availability heuristic and herding. 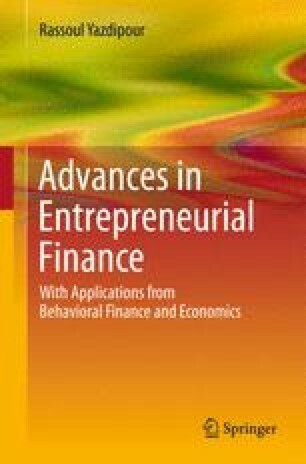 This chapter speculates how these heuristics and biases may have evolved, and focuses on their effect on entrepreneurs and venture capitalists.